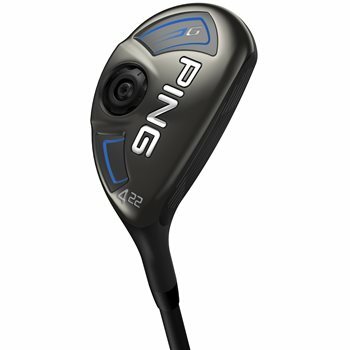 The Ping G Hybrid is Ping’s most advanced hybrid to date. It is faster and more stable thanks to Ping’s Turbulator Technology which reduces drag and increases club speed to give you 4 more yards of carry. A hotter, Carpenter 455 club face also allows for an increase in face deflection, producing higher ball speeds across the face. Additionally, the tiered internal sole construction promotes more ball speed, distance, and forgiveness. Does the job when my swing is "on"
Review by High handicapper, 2 years ago. Review by Guy O., 2 months ago. If I see something I like, can I show up at Joe & Leigh's and buy it instead of online? I would like to know the difference between "3H" type and "4H" type. Also, I'm not sure the difference in Shaft Model; Ping Alta 70 and Ping Tour 90. Can you explain? New clubs will include a headcover, used ones will not.